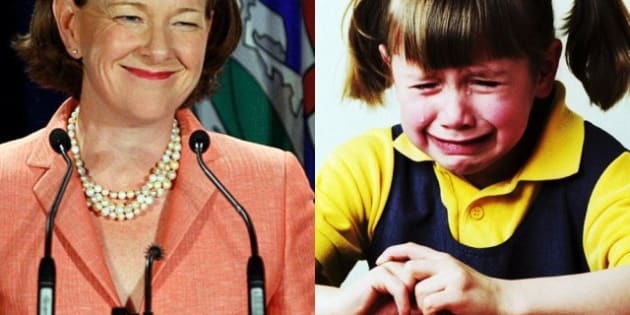 EDMONTON - Alberta's budget woes could delay Premier Alison Redford from making good on her promise to bring in fully funded full-day kindergarten. Last year, the government said it wanted to start rolling out the program this fall at an estimated annual cost of up to $200 million. Now with warnings of a tough budget ahead, the Alberta School Boards Association says it's been told by the province that education funding is being reviewed, including the kindergarten pledge. Association president Jacquie Hansen says school boards understand financial realities, but also feel that the government should commit to its promises. Hansen says not all school boards want full-day kindergarten, but those that do want the program to be fully funded by the province. Alberta Education says it is working on its kindergarten plan, including different times for it to begin, but much will depend on the March 7 budget.